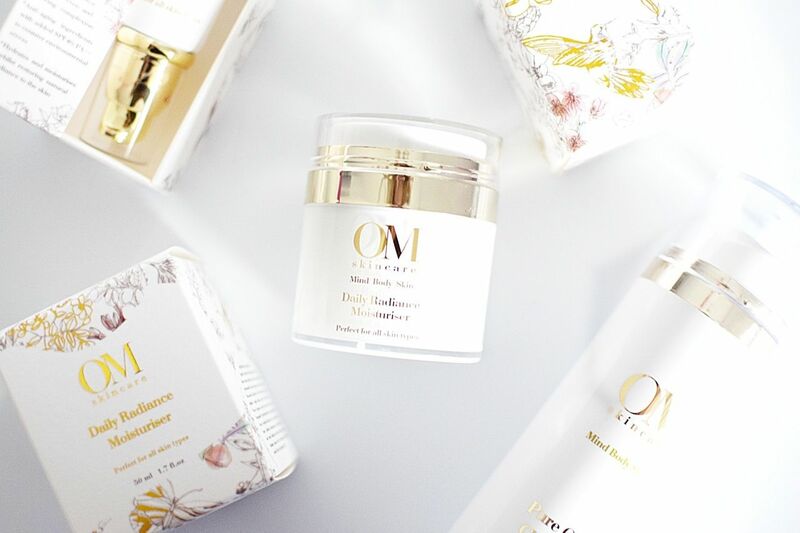 Today I have a new skincare brand to introduce to you, OM Skincare. OM is founded by cosmetic and pharmaceutical scientist, Dr. Om Prawarisa who wanted to create a skincare brand that could help people no matter what age, skin type or climate they lived in. Dr. Om wanted the range not just to have benefits for the skin but also have the concept of overall wellbeing. I have been trying out a few from the range including the Pure Glow Cleanser, which I have been using every night since I got it. It’s a real luxury gel cleanser that just leaves my skin so soft thanks to the inclusion of aloe vera, extract of rosewood and sweet orange oils. Also the Daily Radiance Moisturiser, Invisible Finish Primer and for the first time ever, trying a Konjac facial sponge. I am really loving the range and so decided to find out a bit more from Dr.Om and get her top tips for winter skin care. What was important to you when creating your own skincare brand? Ultimately, it was important that Om Skincare could help people – at any age and any skin type, living in any climate – who desire to take care of their skin. I had to ensure my products delivered great results and were safe to use, so I carefully selected a combination of scientifically proven ingredients along with sourcing the power of nature’s ingredients from all over the world to deliver the optimal level of active ingredients that ensured the formula performed and actually made a difference. I believe that skincare is not only what you put on your skin, it is the overall wellbeing concept. That is when I added the mindfulness part into the brand. 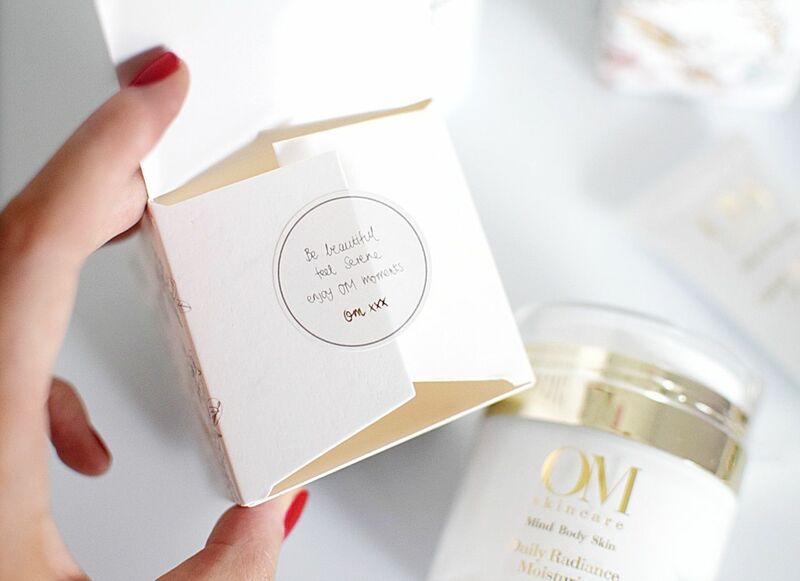 OM Skincare protects, preserves and transforms skin whilst encouraging mindfulness – we call that a state of OM! The packaging is lovely, where did you get the inspiration from for it and was it specifically designed? Thank you. We spent, I can’t even remember the time we spent on this! Special details were added to every part of the packaging. The signature curves are inspired by my love of travel – I split my time between two cities, London and Bangkok – where the vast differences in climate also inspired me to create products that are multifunctional and work in all climates. The hand drawing images of plants are the ingredients used in the products. The hummingbird, bird of paradise and butterfly represent feminine and freedom. The Hummingbird also symbolises love, beauty and intelligence (the legends say that hummingbirds float free of time, carrying our hopes for love, joy and celebration). The Bird of Paradise is a visual extravaganza; this special bird is one of the most beautiful in the world and a butterfly goes where it pleases and it pleases wherever it goes. These elements all inspired to create this lovely packaging. Primer isn’t always seen in skincare lines, what made you decide to develop the invisible finish primer? I have never used a konjac sponge before, can you tell me a little more about them and why they are so good to use? Konjac sponges are made from a vegetable fibre, naturally alkaline and loaded with vitamins and minerals. They gently clean and exfoliate the skin without excessive abrasion (some people find scrub beads too abrasive), it also works like a massage tool which cleans the skin and helps with circulation leaving skin feeling soft and smooth. I particularly like the texture of the konjac sponge on my face, it is soft and squeezy. 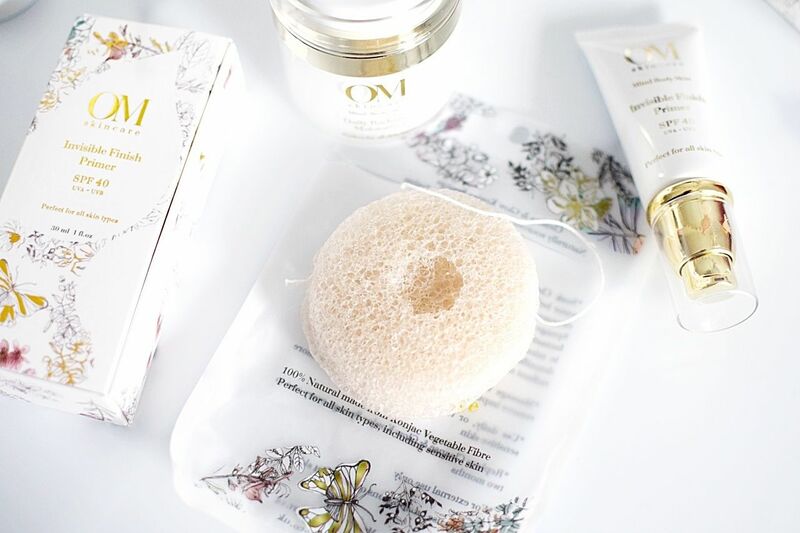 Just a reminder, you need to soak the konjac sponge in warm water to soften it before use, it will bloat up and that is when you know it is ready for you to use! What are your top tips for winter skincare? Over winter continue taking in plenty of water throughout the day and exercising regularly, enough to bring a flush to the skin by getting your blood circulating and your pulse rate up – we love Yoga. As tempting as it may be to turn up the heat in the bath or shower, avoid going too hot as hot water is dehydrating to the skin. Warm water is skin safe. Get more moisture-boosting benefits by adding a few drops of bath oil to your bath or body oil all over skin immediately after bathing and towel-blotting. Regardless of skin type, your skin needs extra nurturing to ensure its winter-proof. The drier environment (central heating, icy winds) exacerbates oiliness (if it’s dehydrated, it overcompensates by producing more oil and leaves skin taut and flaky) and dry skin becomes drier and looks disconcertingly older and more lined, so it needs richer moisturising. Applying a hydrating serum under moisturiser will give it an extra boost, and help keep it in balance – try our Miracle Serum. And apply our Daily Radiance Moisturiser in the morning and evening immediately after washing your face to provide deep and long-lasting hydration – don’t forget your neck and décolletage. Nutrition plays a critical role in the health of your skin. Load up on plenty of Vitamin C (Guava, Oranges and Kiwis) and Omega-3 fatty acids (mackerel, walnuts, flaxseed oil) over the Winter as they are vital nutrients for keeping skin in optimal health. Sunscreen is a year-round necessity. Ultraviolet rays will replace your natural glow with discolouration, dryness and eventually wrinkles. Even sitting behind your laptop or mobile screen emits blue light that damages and ages skin. Protect skin with sunscreen every day, even when it’s raining outside. I have been loving using the pure glow cleanser, do you have a favourite product in the range? I am glad you love the pure glow cleanser! I actually love all my products as I designed and formulated them all with love and passion but I have to admit I love Pure Glow Cleanser and Invisible Finish Primer a little more. I love the Daily Radiance Moisturiser and No-lines Nourishing Cream too as I know they are taking great care of my skin; I personally use the Daily Moisturiser on my face and neck and tap in the No-lines Cream around my eye contour and the tiny lines on my forehead. When my skin is tired, it calls for Miracle Serum for an instant pick-me-up, I love them all! Any products in the pipeline for OM Skincare? Yes we will have new products launching next year, I am very excited to talk about them now but I had better keep this a secret for now, so watch this space! 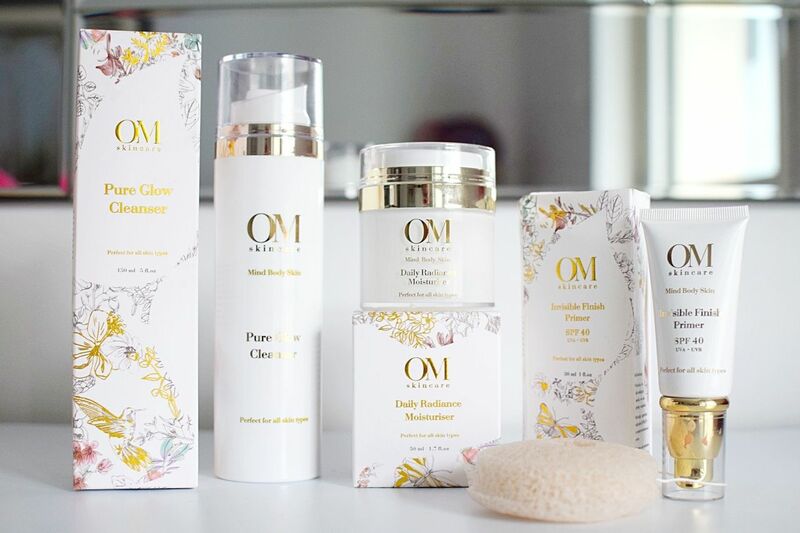 For more on OM Skincare visit www.omskincare.co.uk.